Since 1963, Sunny Delight Beverages has been a leading producer of juice-based drinks in North America and Western Europe. 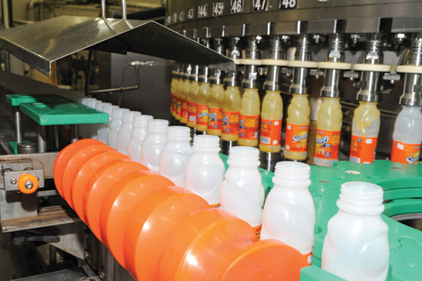 While they produce 7 different beverages, their Atlanta plant focuses on the SunnyD brand. Come see the advanced manufacturing processes, robotic systems, and supply chain processes that go behind bringing this popular beverage to consumers around the world. The new package for the company’s flagship product, Sunny Delight, is a square bottle, instead of a rounded one. This new design fits in the refrigerator better and is easier to pour and further enhances their sustainability efforts through upgraded, consumer preferred packages that require less material and energy to produce. See the entire bottling process from start to finish! CLOSED TOE/FLAT BOTTOMED SHOES ARE MANDATORY. No High Heeled Shoes!